When it comes to reducing fraud on your website, there are almost no creative limits you can take in order to prevent fraudsters from taking your money, risk-free. It is too easy for them to abuse business logic by impersonating users and devices. Embrace a new behavior based approach to stop bot attacks. Learn how. 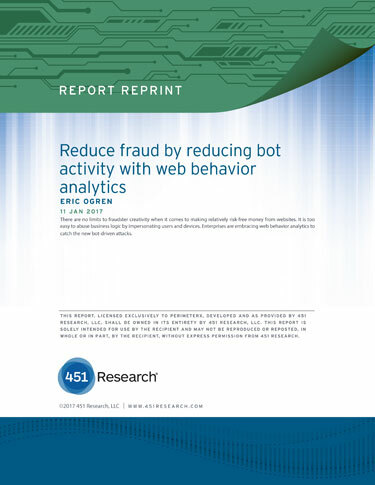 Enterprises are embracing web behavior analytics to catch the new bot-driven attacks.